The National Safety Council recently published a comprehensive report summarizing results from their 2017 National Employer and Employee Surveys on Workplace Fatigue. It’s clear from the report that fatigue is a serious safety problem. 32% of employers report injuries or near misses due to fatigue and at least 13% of all injuries suffered by US workers are the result of fatigue. It’s an easy conclusion to draw: fatigue can cause injuries. Injuries can cause fatigue, which can cause further injury, which can lead to fatigue, which can… well, you get the picture, a vicious circle. At PowerLift Training, this got us thinking: how does our training impact workplace fatigue? And, how is it impacted by fatigue? Before we get too far into the post, we should probably answer the question: what is it that we do train, exactly? Simple answer: we train workers in safe manual material handling techniques. In other words, how to lift, bend, reach, push and pull. while on – and off – the job. For the rest of this post, we’ll just call it ‘lifting,’ but remember all that other stuff is included too. First, and most importantly, PowerLift training reduces injuries. Check out powerlifttraining.com . Case study after case study proves the claims. Each case study is packed with stats that show reduction and elimination of injuries and the resulting savings realized by employers. 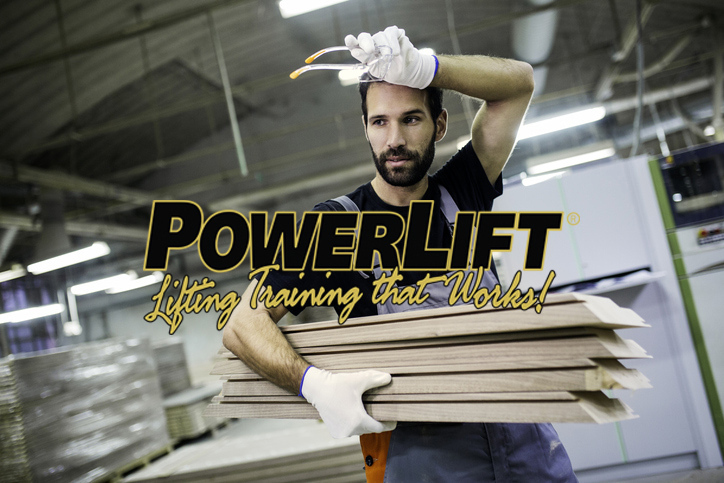 Second, and only slightly less importantly, PowerLift reduces workplace fatigue. Hang in there with me here. Consider that almost everybody in every warehouse, factory, hospital, nursing home, etc. lifts with their back. When we’re asked to assess a facility for lifting issues we almost don’t have to go. It’s a given. Without even having to look, we can say “your people are back-lifting.” Because almost everybody, everywhere is. And we know that the most widespread back safety training is ineffective. Take a gander at one of our previous blogs ‘ Proper Lifting Technique [Does it Really Make a Difference? ]‘ and you’ll see what we’re talking about. Here’s the potentially painful truth: the back was not made for repetitive motion. Just a little bit further down, we encounter the hips and legs: the parts of the body that are meant for repetitive motion. Here’s another way to think about it, the muscles around the spine are approximately the same size as one thigh muscle. So, when you use your legs to lift, you use twice the muscle, or half the effort. Which equals less workplace fatigue. Third, reducing fatigue reduces injuries. Given what we’ve said so far, a reduction in injuries would be a natural result of a reduction in fatigue. Keep going. Reduce injury, reduce fatigue. Reduce fatigue, reduce injury. The proof, as they say, is in the pudding. In this case, the ‘pudding’ takes the form of reports and stats and results from various studies. Let’s look at Insomnia, the difficulty of falling or staying asleep. Among its causes is chronic neck- and/or low back pain. Many of us know that fact from personal experience. 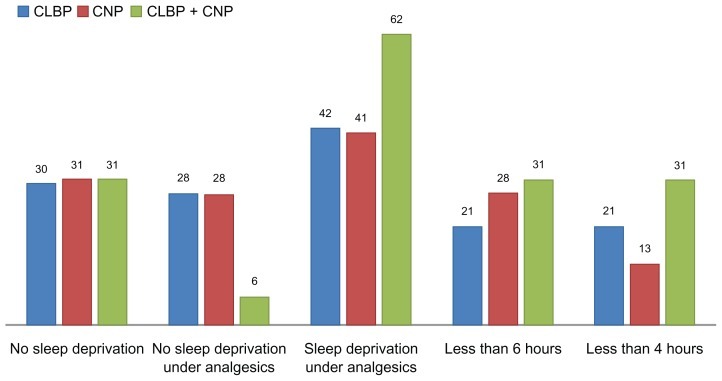 Studies like this one: Prevalence of sleep deprivation in patients with chronic neck and back pain show how pain can keep us up at night, robbing us of healing sleep, and causing fatigue. It may be of interest to note that the pain persists, and interrupts the sleep cycles of the test subjects, even though they took analgesics (anti-inflammatory medications). Insomnia can also be caused by conditions such as obstructive sleep apnea, the blockage of airflow during sleep. Prevalence (%) of sleep deprivation in patients suffering from chronic neck pain, back pain, or both. Abbreviations: CLBP, chronic low back pain; CNP, chronic neck pain. To better understand the workplace fatigue-injury relationship, take a look at this Fatigue Safety Report. Needless to say, it should come as no surprise to find out that 13% of workplace injuries can be attributed to fatigue. And, the most prevalent risk factor (81%) is found in “demanding jobs.” These are jobs that require sustained attention, are physically or cognitively demanding. Such jobs, combined with a sleep– or rest-deprived worker/operator, can significantly increase injury risk. “Tasks that are repetitive..can also contribute to fatigue”. At the end of the day, the ‘easy answer’ is not always the obvious one. What we can say, and say with confidence, is that it is possible to break the vicious cycle of fatigue – injury – fatigue – injury. No, PowerLift won’t guarantee you a good night’s sleep. That’s not our area of expertise. But, PowerLift Training empowers people to lift effectively, reducing injury to the back and neck. Which could lead to a better night’s sleep. The rest is up to you.